These pictures were taken on our vacation to scenic Switzerland last August. How lovely! Must have been a great trip! Hi Shantana, Great mosaic. AND--it looks like you had a marvelous trip to Switzerland last year. GREAT set of pictures. WOW--I'd love to visit there sometime. Oh wow! I love these beautiful shots! I love your header shot too. It must have been a wonderful trip as your photos are really quite stunning. The color...omg, the beautiful color! Thanks so much for sharing this lovely mosaic. 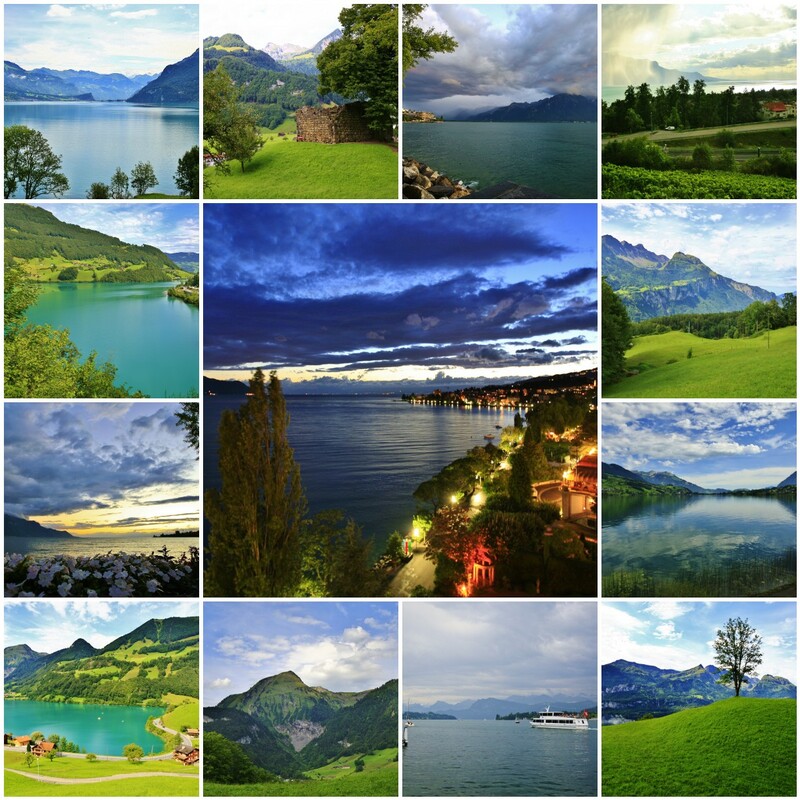 Such beautiful photos of Switzerland. Your mosaic is gorgeous. What a beautiful mosaic! Switzerland must have been a wonderful place for a vacation. so gorgeous! i'll be going there next year. i hope my shots will be so lovely! Absolutely gorgeous mosaic! Each shot more beautiful than the other! Awesome collage of the scenic Switzerland! Very beautiful and pretty landscapes. Amazing vacation and amazing collage! Just lovely. Wanted also to let you know how much I love your header photo. It's spectacular.